WOW. WOW. WOW. The video for Rihanna's new international single "Te Amo" appeared online yesterday and it's just a little bit scandalous. Ri Ri is playing hide and seek in a beautiful castle, pursued by a beautiful, mysterious woman. Rihanna even gets into some steamy situations with said vixen. No WONDER "Rockstar 101" is the new U.S. single. American audiences couldn't handle this video! I think it's hot, personally. What do you think of the new Rihanna video? "Well the cats out of the bag! Someone leaked my video!" 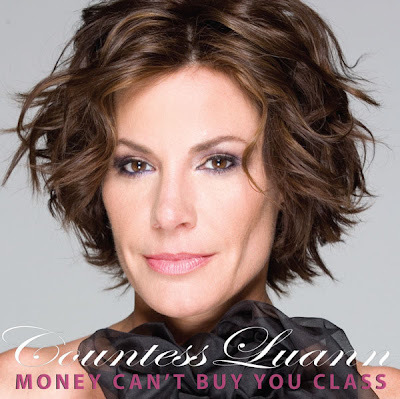 Countess LuAnn de Lesseps said yesterday on her Facebook wall. Check out the NEW single artwork, above and compare it to the old artwork. She's certainly upped the budget since being signed with Ultra Records. The song is still...what it is but I'm glad there's a video now. Here's hoping we get some remixes! On an unrelated note...where is Kim Zolciak's video? Check out the video below and let me know what you think!